By Xah Lee. Date: 2015-07-21 . Last updated: 2018-06-05 . Abacus. Used in China and Japan, even today. Traditional Chinese style abacus has 2 beads at top, and 5 beads at bottow. 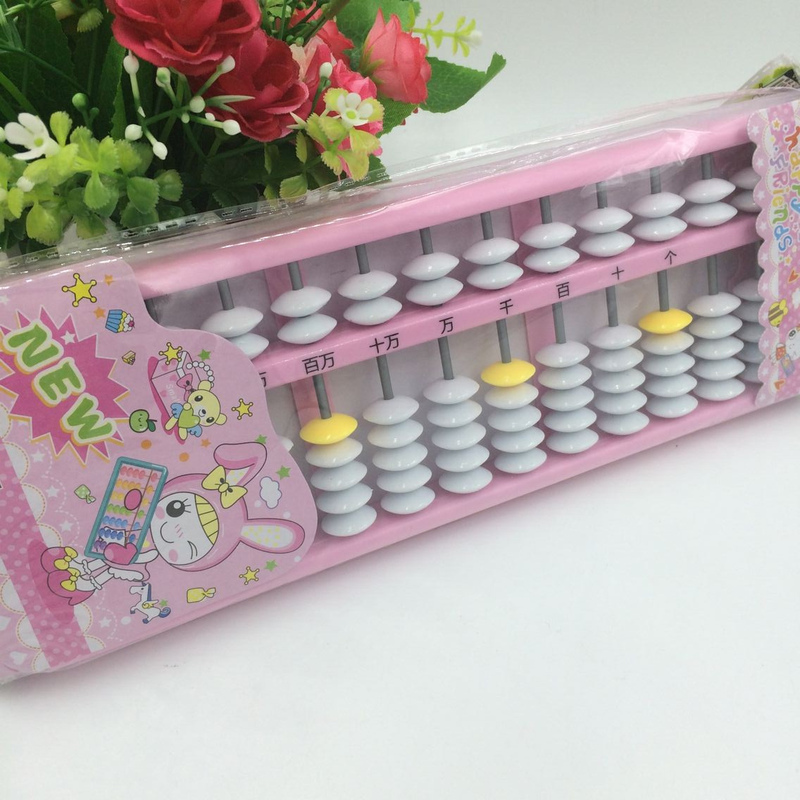 Chinese abacus. 2 rows of beads at top, 5 rows of beads at bottom, The yellow colored beads, is to make the digit position easier to read. This pink one, is marketed to school girls. The default position is away from the middel horizontal bar. Each bead positioned close to the horizontal bar counts a value. For bottom section beads, each one counts as 1. For top section beads, each one counts as 5. 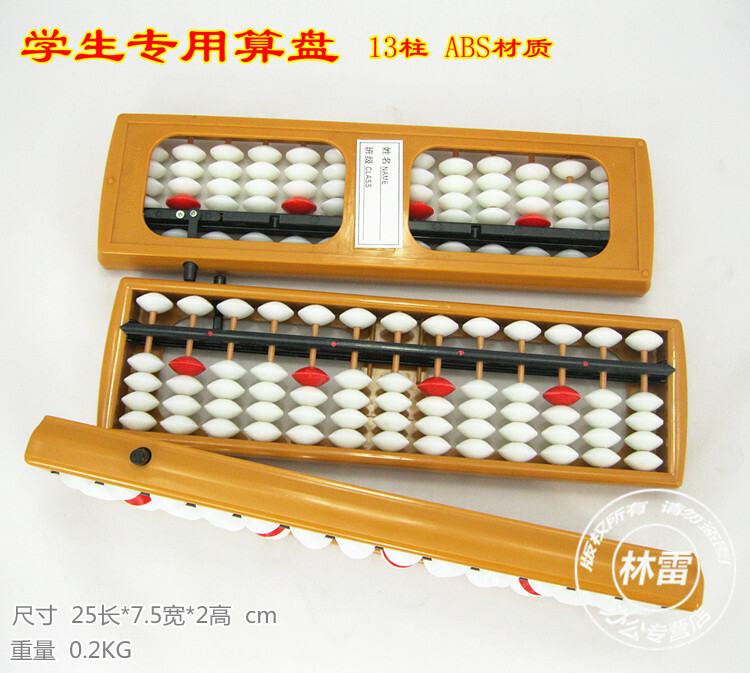 The Japanese style abacus is more modern. Abacus with a reset button. It pushes all beads away from the black bar. The Japanese style abacus has 1 bead at top, 4 at bottom. When i was in school aged around 9 (that's 1970s), abacus is still taught in school at Taiwan. And, there are TV shows of competition between students using abacus versus students using electronic calculator. Without the reset button, you tilt the abacus so all beads falls to the bottom, then you slide your finger on top row to push them to the top. Pretty cool that amazon sells abacus. But the choices are very limited.